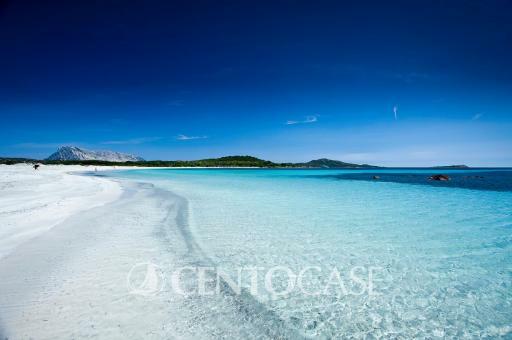 San Teodoro is one of the most famous and appreciated touristic destination in Sardinia. The town is only 25 km south of Olbia in the South Gallura and in the North east of Sardinia. 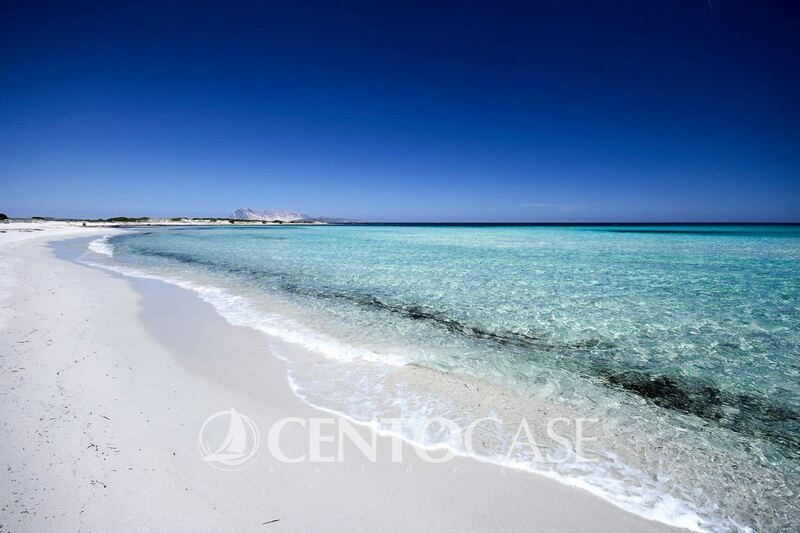 Among the villages which surrounds San Teodoro, the most known are: Monte Petrosu, Lu Fraili, La Suaredda and Straulas. The amazing nature of the surroundings makes San Teodoro area very special and fascinating one. The incredible beauty and variety of landscapes are made of wide white sandy beaches and small coves of incomparable colors, framed with the typical rock formations overlooking the turquoise sea. A special mention is reserved also to the areas of Punta Molara, Cala Ginepro and Cala Girgolu, where the wild nature context of Gallura finds its exaltation to perfection. 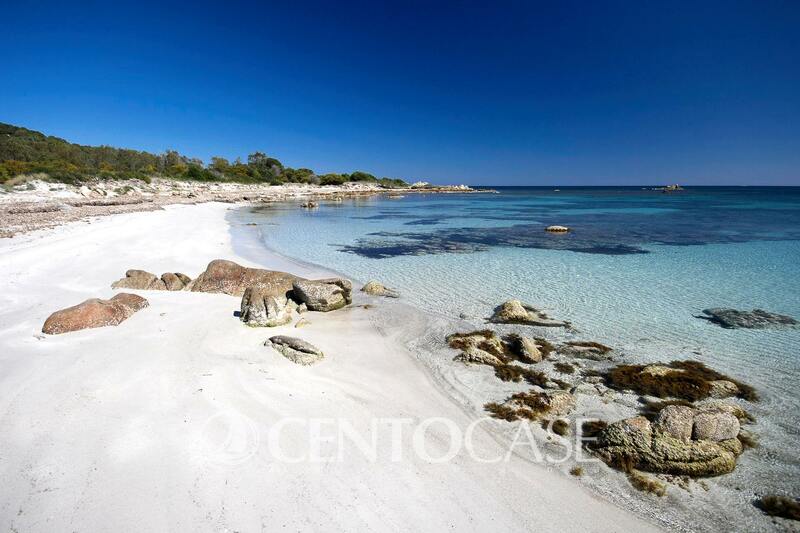 In this regard it is impossible not to mention the area of Capo Coda Cavallo, a protected marine park, with its multitude of beaches and coves, among the most beautiful in Sardinia. Furthermore, there are plenty of remarkable spots where you can enjoy a beautiful sea view overlooking the islands of Tavolara and Molara. 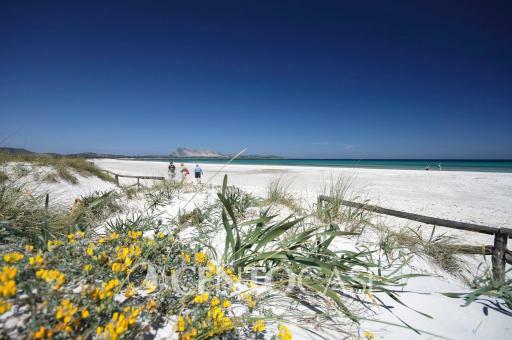 San Teodoro can offer a wide variety of activities and nightlife venues. The most characteristic of which is the visit of the town center where every night an awesome night walk within bars and clubs takes place, shops open until late night attracting many thousands of tourists who visit the north-eastern Sardinian coast during the summer. Not forgetting to mention the great offer of sports and recreational activities such as hiking, horse riding, golf, kite-surfing, snorkeling, paddling and ultra-light planes flights, as well as good food with excellent cuisine specialties both sea-food and meat choice. 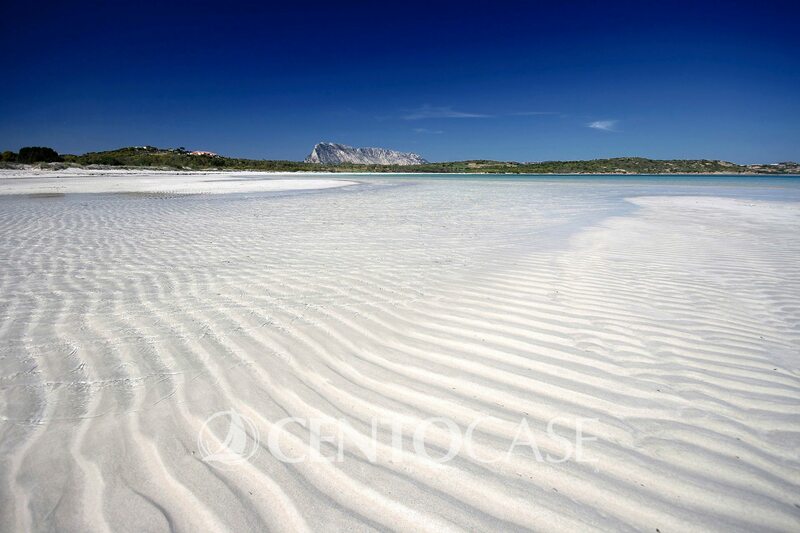 Thanks to all of this, San Teodoro is chosen every year by a multitude of tourists as destination for their Summer holidays in Sardinia and they often remain linked to this beautiful territory for the years to come. Centocase Sardinia is a milestone in the Real Estate of the territory with a wide range of properties for sale in San Teodoro area. We offers various types and sizes of properties for sale in the area, from the apartment to the single house, up to the prestigious villas, new, resell or still under construction. 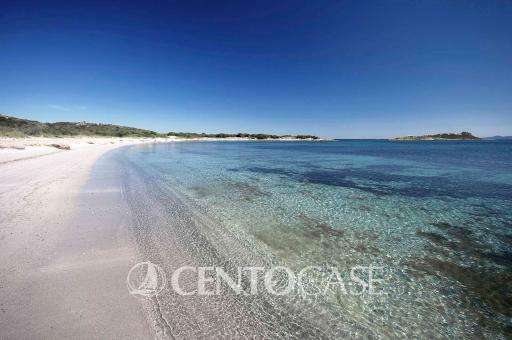 Among our real estate proposals in San Teodoro, qualified Centocase Sardegna Consultants will help you to select the property that best meets your needs. On the top of a beautiful panoramic hill, this is a three-room villa fo sale. Built with top-quality materials and with a local basolato stone court, it consists of a spacious living room with open kitchen, double bedroom, twin bedroom, bathroom and a covered veranda with stunning view. A private garden and a private car parking space complete the property. Equipment: well-kept furniture, outdoor shower and water tank supply. Beautiful ground floor apartment with garden just few minutes away from the town center, featuring a large living room with open kitchen, double bedroom, twin bedroom, bathroom, closet room, covered and furnished veranda, second veranda with a fully set dining area furnished with table and granite benches, garden with lawn and barbecue area, car parking space and outdoor extra shower. Fine finishes in local Sardinian stone and granite. Equipment: Furniture and air conditioning in all rooms. Lovely two-room apartment in the center of San Teodoro in Via Lu Liciu, in a strategic position but away from the crowd, consisting of living room, bedroom, bathroom, mezzanine with additional two beds, veranda, front and back garden. Lovely apartment on the first floor in San Teodoro. Apartment located in San Teodoro residence "Il Canneto" a few minutes from town center and the renowned La Cinta beach. Composed of three rooms, bathroom and veranda. Fully furnished and with an outdoor shower. Excellent finishes in Sardinian stone and granite style. Located within the Tamerici village in a central position, this is a very well-kept apartment completely renovated, composed of: bright dining area with kitchenette, living room with sofa bed, mezzanine with double bed, bathroom, patio, private courtyard, parking . The property is sold furnished with custom Sardinian style. Given the location and the excellent conditions, it is ideal as an investment for summer rent income. Finely set in a very serviced area and just minutes away from the beautiful La Cinta beach we offer for sale a large terraced house on two levels comprising: lounge, kitchen, three bedrooms, three bathrooms, front and back porch, front garden. Facilities: water tank reserve, furniture, fireplace, car parking space. The villa has a well-kept garden with palm trees and tropical plants, a beautiful swimming pool, an outdoor shower, a sunbathing area and a barbecue area. The Villa is built on 3 floors and features 4 bedrooms, 3 bathrooms, a large living room with wooden beams and beautifully frescoed ceiling. The kitchen is separated from the living room and is made of brick in typical Sardinian style. Upstairs there are 3 bedrooms and two bathrooms, from the terrace of the master bedroom you have a wonderful view of the lagoon landscape including the icon of this part of the coast, the island of Tavolara. In the basement there is a garage with laundry area, another bedroom and the pool maintenance room. The villa has hot/cold convectors, fireplace with pellet stove. The property is located within a renowned residential area of villas with private access in a well-serviced area just a few meters away from the town of San Teodoro and only 800 meters from the sea. In a private and quiet area just minutes from the town center of San Teodoro, we offer for sale a small villa with a tavern and a garden. This property consists of a living room, two bedrooms, a bathroom and a large veranda. Facilities: air conditioning and parking space, Sardinian stone and granite finishes. New residential complex just a few minutes from San Teodoro and the very well renowned small port of Puntaldia, we have the last three units available for immediate sale. Terraced houses on two floor levels composed of living room, double bedroom, twin bedroom, two bathrooms, three verandas, front garden. Fine finishes in Sardinian stone and granite. Facilities: two car parking spaces,air conditioning and heating system preparation, water tank reserve. Reserved apartment on the first floor free on four sides located in San Teodoro in Via dei Giudicati in a convenient position compared to the services and the sea, composed of living room with kitchenette, double bedroom with terrace, double bedroom, bathroom, covered verandas, staircase to use exclusive and parking space. Equipment: Furniture and air conditioning preparation. Secure investment as a rental income. To be seen!! 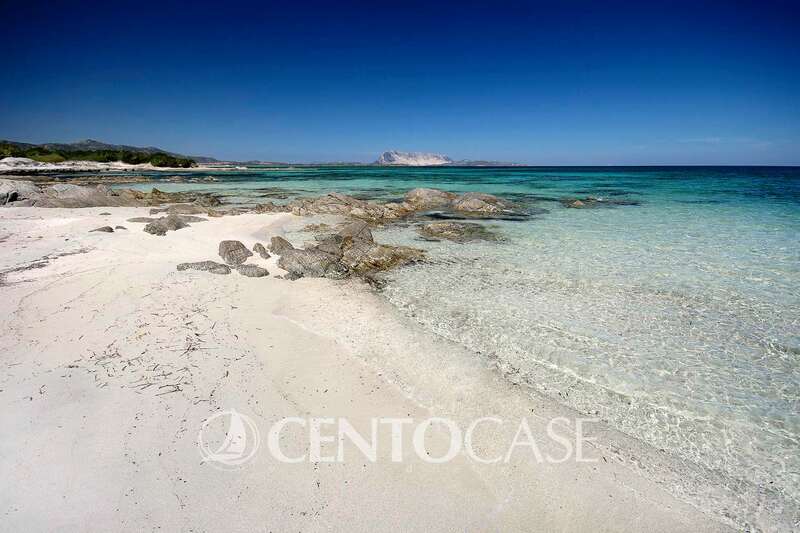 In Lu Fraili area, near the beautiful beach of "Lu Impostu" and about 4 kilometers from San Teodoro town center, we offer villas for sale, as part of a small elegant and well-kept residence. - terraced house on one level and private garden on three sides, composed of living room with kitchenette, bedroom, bedroom, bathroom and veranda. - two-level villa with garden front / back composed of living room, bathroom and two verandas on the ground floor, double bedroom with terrace, bedroom and bathroom on the first floor. - two-level villas with garden on three sides composed of living room, bedroom, bathroom and large veranda on the ground floor, two bedrooms, bathroom and large terrace on the first floor. All the villas units are independent and equipped with air conditioning in each room, emergency water supply, double private car parking space and watering system of the private garden. Some of these villa units have wonderful sea view. External finishes in local stone and granite. Lu Fraili is a very well serviced area of San Teodoro municipality with all the main services and facilities such as market, bar etc. and the sea side is just walking distance. Well-kept villetta located in San Teodoro town, Via Monti, in an excellent position close to La Cinta beach and all the town facilities. Consisting of a living room, two bathrooms, two double bedroom, a storage room, two verandas, a balcony on the upper floor, a large front court and a back court. Inside parking space. Equipment: well-kept furniture, A/C in all rooms, water supply, barbecue. Energy class is being certified. Villa with private garden within the exclusive "Miriacheddu" compound, just few minutes from Isuledda beach. Nice and quiet context. Consisting of living room with kitchenette, two bedrooms, bathroom, veranda, private garden, plus a studio apartment with bathroom. Sardinian stone and granite finishes, wooden beams. Large villa just few minutes from San Teodoro center in a panoramic position with excellent privacy. a spacious living room with fireplace, dining room, kitchen, bathroom, 4 double bedrooms each with private bathroom, cellar-basement with fireplace and kitchen, large garage and laundry room. A chilly veranda overlooking the sea and, at the back, a comfortable and sheltered barbecue area with a table and access to the kitchen ideal for hosting summer parties. The swimming pool embellishes the outdoor area with a large and lush garden to frame the view of La Cinta beach and Tavolara island. Due to its particular and unique rooms layout, the villa also is suitable for possible transformation into a high-level B & B. Ideal also for demanding buyers who wish to host friends & family for holidays in absolute privacy, not far from the beautiful beaches and services that the area of San Teodoro town offers. We offer for sale this panoramic villa located in a very quiet area which allows you to relax thank to the amazing view of the “La Cinta” beach. The property, which stands just at the ground floor, is composed of a living room with fire place, dining room, studio, kitchen, three bedrooms (two of them are master bedrooms), two bathrooms, a closet and a large and panoramic covered yard. There is also a large garden in which is possible to build a swimming pool on the plot. Equipment: radiators heating system, water reserve, barbecue and an outdoor shower. This villa which is a few minutes away from the beach and the town, has built with premium materials like Sardinian’s rock, granite and juniper wood. San Teodoro - within a lovely residence, detached villa for sale with swimming pool. Few minutes from town center and the beaches, we have an interesting solution in a residence with swimming pool. The property comprises a large two-room apartment with kitchen on the ground floor, bedroom and bathroom. From the inside there is the access to the lower floor which consists of three rooms plus bathroom. Large surrounding garden plus private parking space complete the property. Ideal solution for those looking for high rental income, given the location within a residence with swimming pool and several bed spaces. Single villa on a plot of land of about 750 sqm with private water-well and already furnished. The building is ideal for main residential use, in excellent condition and immediately habitable. Of generous size the villa is composed as follows: large living room, kitchen, three bedrooms, study room, two bathrooms, comfortable veranda, three balconies, garden with driveway. Equipment: furniture, heating system with gas boiler, water supply, garden watering system. In Citai area, in a panoramic position with one of the most beautiful views of San Teodoro, villetta consisting of a living room with kitchenette, two bedrooms, two bathrooms, back-courtyard with barbecue plus veranda. Furnished and air-conditioned, ideal for chilling out and relaxation with an exceptional sea view. Facilities: Climate, water reserve, barbecue, traditional furniture. In the hilly area of San Teodoro with magnificent views of La Cinta Gulf and the valley ahead this is an exclusive property signed by architect Samorì ideal as a representative building or adaptable to luxury B&B. Surrounded by a park of 10,000 square meters. with oaks, almonds, pines, palms and olive trees, the villa stands a characteristic hillock, creating a successful stylish match with the surrounding thanks to the skilfull use of Sardinian stone that enhance the main facades. A convenient garage with a canopy and a technical room complete the central body. The villa can be accessed by 3 gates that lead to the parking area with room for parking several cars. An executive pool of about 80 square meters with bar area and solarium further enhance the property. Easy to expand the building and build a gym/spa overlooking the park in the area below the pool. From the energy supply point of view, the property is powered by 2 6.6 Kw meters, a gas boiler for hot water and heating, a municipal water supply and a private 20,000 L reserve. Rich in architectural details, during the construction phase an ancient Sardinian oven has been used (belonging to shepherds and used by them during transhumance walking), as well as stone and terracing. A unique and refined style with magnificent views and absolute privacy, the park can be further enhanced by creating characteristic areas in a hosting perspective. Complete with furniture, ready for delivery. Few steps from the center of San Teodoro town, a wonderful head of the row small villa with four rooms and two bathrooms. - large living room with kitchenette and veranda area with two rooms, one for outdoor dining space and the other for outdoor seating area. Large planted and well kept garden, excellent finishing with Sardinian stone and granite, amazingly furnished, private parking space. Very pretty two-room apartment near S. Teodoro town set within a residence with swimming pool. Composed of two rooms and bathroom, veranda and garden. End of terrace villa house in a panoramic position with a magnificent view of La Cinta beach and of San Teodoro. The house consists of two apartments, a large three-room with bathroom on the ground floor and a bright two-room apartment with bathroom in the basement (completely off-ground). The garden and the private outdoor courtyard beautifully surround the property on three sides. For those seeking privacy and scenic houses. Pretty villa overlooking the sea just minutes away from the famous La Cinta beach, services & local amenities. Arranged on two levels, composed of a living room, double bedroom, twin bedroom, bathroom, veranda with sea view, front-back garden and parking space. Basement room consisting of bedroom with bathroom. Sardinian stone and granite finishes. living room, separate kitchen, three bedrooms, two bathrooms - one of which for the exclusive use of the master bedroom - large outdoor veranda and private garden on 4 sides. Extensive possibilities for tailoring materials and interior finishes with interior walls colors, floor colors, electrical sockets position, etc. of your choice. Ideal also as main residence as well as summer locations income investment. The Residence La Jatta was conceived to represent a stylistic and qualitative reference point in the real estate scene of Lu Fraili area and beyond. In fact, the design study includes, in addition to the use of materials and aesthetic details of great value, large veranda areas that satisfy the desire of living outdoors during long summer holidays in the full comfort of generous and reserved spaces, nestled in the sense of tranquility and privacy of Lu Fraili corner. The villas are all spaced out and connected by arcades that guarantee constructive continuity while preserving the private spaces of each unit. Lu Fraili is a town in the municipality of San Teodoro served by market (open all year) and various other shops and activities such as bar-tobacconist, rotisserie etc, also Puntaldia with its square shops, the marina and the golf course, less than 2 km away. The Residence is located in the area of Lu Fraili closest to the sea, so it is not necessary to cross the state road to go to the beaches of Lu Impostu, Puntaldia, or one of the ends of the renowned La Cinta beach, from San Teodoro to Puntaldia . starts from that area and arrives as far as Puntaldia. The house n.4 set within Residence La Jatta is on two levels and consists of: a large living room with kitchenette, bathroom, closet, spacious areas overlooking the front and back; part of the main veranda can be closed with windows in order to obtain a further multi-purpose environment. On the first floor there is the sleeping area with a double bedroom with a large terrace, bedroom and bathroom on the floor. The private garden on four sides and the absence of walls in common with the other units give this splendid villa maximum independence. The great size of the garden allows the construction of a private pool with LED lighting: an element of outdoor furniture that surely gives extra elegance and charm to the house as well as the undoubted advantage in the hot summer days and nights too. Extensive possibilities for customization of materials and interior finishes with interior walls colors, floor colors, position of electrical sockets, etc. of your choice. Ideal also for main residence as well as investment for summer locations income. In addition, a dirt road, but very easy even for the journey by car, starts from that area and arrives as far as Puntaldia. The house n.3 set within Residence La Jatta is on two levels and features on the ground floor: a living room with kitchenette, bathroom, closet, front porch and rear veranda with windows that can be moved in order to obtain a possible additional environment of various great use. On the first floor there is the sleeping area with a double bedroom with a large terrace, bedroom and bathroom. Private garden on three sides. - solar panel system preparation. Extensive possibilities for customization of materials and interior finishes with interior walls colors, floor colors, electrical sockets setting, etc. of your choice. Ideal also as main residence as well as great investment for summer locations income. On the top of a green hill overlooking the sea and the lush surrounding countryside we have a characteristic property built on the shapes of an local old Stazzo Gallurese for sale. The masterly use of fine local materials perfectly complements the villa in the harmonious hillside. From an chill-out panoramic veranda we access a comfortable living area with a separate kitchen. On the ground floor we find 2 bedrooms and 1 spacious bathroom. Trough a staircase we access the upper floor where we find a large master bedroom, a double bedroom, a lovely hobby room as well as a further great service. On the lower floor, with both internal and external entrances, we find a particular tavern with a magnificent juniper fireplace, a double bedroom, a bathroom and a pantry. On the back of the house we find a lovely outbuilding designed for dinner parties. In the large garden there is enough room to build a swimming pool to further enhance the property. The house is sold completed with furniture and has a large photovoltaic power system. Maximum privacy. San Teodoro and the sea side 1 minute distant. nicely set in San Teodoro, Porto Coda Cavallo area. Furnished and great location not to be missed. Nice 4 room apartment on the first floor situated in San Teodoro, Traversa area. veranda and stairs (in exclusive use). Laundry room and private court on the ground floor. Facilities: furniture, barbecue, fireplace and outdoor extra shower. central San Teodoro residence "Tamerici". mezzanine with two beds and a small garden. Equipment: furniture, air- conditioning and extra outdoor shower. the house n.1 of La Jatta residence develops entirely on the ground floor and consists of a bright living room with double sliding windows, three bedrooms, two bathrooms and large veranda areas. Maximum independence and privacy with no walls in common with other units and a private garden on 4 sides. Extensive possibilities for tailoring materials and interior finishes with interior walls colors of your choice, floor colors, electrical sockets position, etc. Ideal also for main residence as well as for income from possible summer locations. Building of a private swimming pool on demand. The whole housing is particularly pleasant with most of the volume destined to the ground floor to better fit in the territory with harmony. Lu Fraili is a town in the municipality of San Teodoro served by market (open all year) and various other shops and activities such as bar-tobacconist, rotisserie etc, also Puntaldia, with its square shops, the marina and the golf course, is less than 2 km away. so there is not need to cross the main road to go to the beaches of Lu Impostu, Puntaldia, or one of the ends of the renowned La Cinta beach, from San Teodoro to Puntaldia. In addition, a secondary small road, but suitable for car driving starts from that area and arrives as far as Puntaldia. Nice two-room apartment for sale, located in S. Teodoro, Via Li Piri, walking distance from the town center. The property consists of a living room with kitchen, bedroom, bathroom, veranda and a lovely paved front court. Equipment: furniture, outdoor shower and water tank supply. Safe and secured real estate investment. In the prestigious and very well-kept residential area of the Residence Le Zagare in San Teodoro town center, a small villa with private garden on three sides. The property has a living room with kitchenette, two bedrooms, bathroom, veranda and gazebo. Newly built end of terrace villa for sale, few minutes distant from San Teodoro town, in Badualga area. Composed of a living room with fireplace, two bedrooms (one equipped with wood mezzanine), bathroom, large veranda, garden on three sides and parking space. Beautifully refinished with Sardinian granite stone and wood beams on ceiling. Equipment: furniture and water tank reserve. Pretty little end of terrace house with garden on three sides, located in S. Teodoro area, Lu Fraili neighborhood. Composed of: two large covered porches, living room with open space kitchen, 2 bathrooms, double bedroom, single bedroom and closet. In-door parking space. Pretty end of terrace villa with garden located in San Teodoro residence Tamerici just a few minutes from Isuledda beach and from the town center. Composed of a living room, a mezzanine with two beds, a bathroom, a veranda embellished with wooden beams and a private garden. Terraced villa house for sale, few steps from all tne town facilities, located in San Teodoro town, within the lovely complex "Borgo degli Ulivi". Composed of a living room, two bedrooms, a bathroom, two verandas, a front-rear garden and parking space. Facilities: Furnitures, heating system, barbecue, outdoor storage room, outdoor shower and garden watering system. In a private and quiet area, just walking distance from both the beach and the center of San Teodoro town, comfy villa for sale. Composed of: living room with fireplace, kitchenette, two bedrooms and two bathrooms. Completely furnished, with water tank reserve and large private garden. 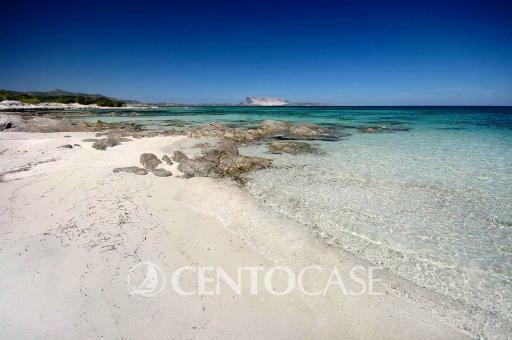 We propose for Sale an outstanding property with wide seaview from Costa Caddu till Tavolara island. The plot, which provides a great privacy, is divided in two units, the main one is an end of terrace house composed of living room with kitchen, two bedrooms, one bathroom and panoramic veranda. It also has a back yard veranda with additional spaces like laundry area, storage rooms and bbq. The second unit is a cozy dependence consisting of two bedrooms and one bathroom. The condominium of Costa Caddu is located in a very high level area which boost Wi-Fi connection, CCT cameras, and 24/7 security/manager. The beaches in front of the property like the famous Isuledda are within walking distance. Bright first floor apartment located in San Teodoro, Suaredda neighborhood, in a quite but central area close to the town center. Composed of a spacious entrance veranda, large living room, separate kitchen, double bedroom, twin bedroom and bathroom. Court paved with barbecue and wood oven in exclusive use. Equipment: outdoor shower, laundry room under the stairs case, heating system with radiators installed in all the rooms. Private parking space. Ideal as main residence not just as summer residency. Pretty terraced house, located in San Teodoro, in la Suaredda neighborhood, in a convenient area to easily reach La Cinta beach and all the services & amenities set in Sant Teodotro center. Composed of living room, two bedrooms, bathroom, veranda, garden and parking space. Equipment: furniture, climate, water reserve. This beautiful villa, recently built, stands in a particularly sunny and panoramic position, surrounded by a park with centuries-old olive trees and Mediterranean bush. The property is spread over three floors and boasts a total of two living room, 5 bedrooms and 4 bathrooms, with large verandas and terraces where to enjoy a pleasant and relaxing view of the sea and of the valley that from Nuragheddu slopes gently towards the sea. This property is also ideal for those who want to start a hospitality business and/or B&B. Just at a short distance from the magnificent beaches of "Lu Impostu", "Cala Brandinchi", "La Cinta" and the renowned Marina di Puntaldia this is a very spacious villa surrounded by 2000 sqm of park and it is divided into a main apartment, 3 apartments and a garage. The apartment on the first floor with wonderful sea view consists of a large hall, separate kitchen, master bedroom with bathroom, double bedroom and master bathroom. A large veranda with sea view surrounds the house. On the ground floor, with independent entrances, there are 3 lovely units composed of a living room / kitchen, a bedroom and a bathroom. The property, designed to accommodate large families has a great potential for revaluation thanks to the large garden where you can build a magnificent swimming pool. The property includes a water-well and a covered parking area. The area, much sought after for its proximity to the most beautiful beaches on the east coast and just 20 minutes from Costa Smeralda Airport, has now a generational change that tends to enhance by renovating the villas this area with international touch. Not far from the main services, there are a golf courses, tennis and soccer courts, marinas and the lively San Teodoro with its small heliport as well. Framed in the unique charm and elegance of "i Giardini d'Aldia" village, this is a new villa under construction for sale, in a panoramic position overlooking La Cinta beach. The extensive use of quality materials such as local granite and teak wood characterize this home with an unmistakable style that combines wisely contemporary with tradition touch. The property is structured in wings shape that divide in an excellent way the living and the sleeping area, always respecting the surrounding nature, reducing digging and land carryover as necessary. The division of the volumes is aimed at creating fluid and well-organized spaces starting from the central courtyard that represents the heart of the architectural work. The villa consists of: living room, dining room (where the feeling of spaciousness is given by the large windows overlooking the sea), kitchen, 5 bedrooms, each with en-suite bathroom, laundry room, large internal equipped and outdoor spaces used as a veranda. The pool is a piece of stylish outdoor furniture itself and master completion of the outdoor areas. The design of the villas of the "Giardini d'Aldia" was conceived taking into consideration a large-scale project that includes 52 luxury properties and a 300-room hotel in this area of more than 40 hectares of new urbanization masterplan. The particularity of this area is to be immediately behind a protected lagoon system of great beauty that is characteristic of the Mediterranean coastal areas; for this reason, we wanted to minimize the human impact by creating a settlement that re-proposes the classic features of the Sardinian architectural tradition yet in a context of harmony with the surrounding nature. All this becomes a settlement of great charm and prestige, among the most successful of the north-eastern Sardinian coast. Magnificent panoramic villa few just steps away from the beach of Baia Salinedda in Capo Coda Cavallo area. The property, recently built, is set on 2 levels and consists of living room, kitchen, four bedrooms, four bathrooms, laundry room, basement tavern, large veranda overlooking the sea, barbecue area with outdoor table, well-kept garden on all 4 sides of a private pool. The villa is excellently finished and completely furnished with elegant care. In a quiet and private position, on a land rich in characteristic surfacing rocks, panoramic villa on two levels with a large private garden. On the ground floor: living room with kitchenette, two bedrooms, two bathrooms, large covered terrace with beautiful views of the entire valley all the way to the sea. In the basement: large living room, two large bedrooms and bathroom. The well-kept garden with granite monoliths and olive trees surrounds the villa up to the barbecue area (with outside table) embellished with local stone paving. The property includes a large covered parking, solarium and outdoor storage room. The furnishings, lighting, materials and colors chosen for the construction and finishing of this property give the look of a prestigious villa in an enviable landscape. Overlooking a landscape of rare beauty, in a very well-kept and private setting, this home is an absolute expression of privacy and contemplation of the marvelous Sardinian nature, in all its powerful expression of beauty. From the property you can enjoy a 180° and undisturbed view on one of the most fascinating stretches of the north-eastern coast with its incomparable beaches, its coves with sea water, ranging from emerald green to cobalt blue color. The house consists of one spacious living room, expertly furnished so that even from the sofas you can enjoy the beautiful vie. One kitchen, two bedrooms and two bathrooms, completes this unique property. Seafront veranda and private garden. Semi-detached house with stunning sea view located in the elegant "Domos de Rocca" compound with sharing pool. The house with its own entrance is on two levels: the mezzanine floor consists of a large living room with a magnificent veranda overlooking the sea, bathroom, bedroom, walk-in closet with access to the rear terrace. The basement three-room apartment consists of a living room, two bedrooms and a bathroom. Private parking space. Excellent finishes in Sardinian stone and granite. Facilities: furniture, climate, outdoor shower and barbecue area. The privacy and the magnificient sea view are the main features of this unique property overlooking the sea, in the front row of the exclusive village of Domus de Rocca. From the spacious veranda facing the sea, completely sheltered and equipped with built-in barbecue, you have a privileged point of view on Tavolara island, the beach of Porto Taverna and the whole coast up to Capo Figari. A splendid picture framed by the granite rocks and by the local spontaneous and lush vegetation. Passing through two verandas you enter the living room with large windows that allow you to admire the sea on several sides with the separate kitchen. Then we find the sleeping area with bathroom, three bedrooms, one with master bathroom. The property is equipped with large sunbathing areas, small private garden, laundry, storage room and outdoor shower. Completes the property the facility of a covered car parking slot. The village Domus de Rocca, very well known for its standards and privacy, has a swimming pool, large green areas and sunbathing areas. A precious property in a unique location. Located within the exclusive district of the "Domus de Rocca" rocky hill overlooking the Gulf of Porto Taverna up to Tavolara. The context is very well kept in every detail and guarded safe as it has the service of guards and maintenance throughout the year. We offer one detached house in the first row consisting of: living room, two bedrooms, bathroom, two verandas including a sea and garden view plus parking space as well. On the floor below the house, there is a comfortable dependance with independent access consisting of: living room, bedroom and bathroom. The property is completed by a garden on three sides surrounded by a thick perimeter hedge to guarantee maximum privacy. Facilities: furniture, heating with radiators, swimming pool and common barbecue area. In the popular resort of Punta Molara semi-detached 2 families villa in a panoramic position with private pool. The house is on two levels with ground floor living room and kitchenette, two bedrooms, two bathrooms large veranda with a pleasant view of the sea and of front valley. In the basement, partially above ground, there is a tavern with additional bedroom and bathroom. The sea can be reached comfortably within walking distance. The property is completed with furniture.